Come home to this beautiful Patio Home in desirable Villages at Highlands Ranch. This low-maintenance patio home is perfect. It's clean, bright, open and charming. The kitchen boasts a large island, granite counter tops plenty of cabinets, a gas stove and cabinets galore. Hardwood floors and newer carpet throughout. The two-sided fireplace is a must for enjoying dinner in the dining room or relaxing in the large living room. Three bedroom and three baths ensure room for everyone, not to mention the loft. The unfinished basement adds room for whatever you may need. Custom paint colors add another touch of warmth in this charming home. The serene back yard includes a deck for all of your lovely evenings. 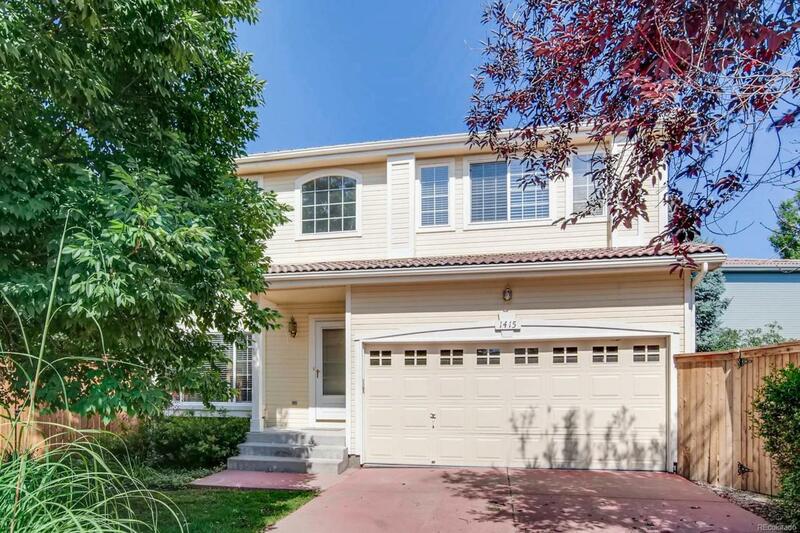 Close to Westridge Rec Center, C-470, trails and much more. Welcome home.